With it’s snappy barcode reading of virtually any 1D or 2D barcode, the FM3051 Grouper II is the perfect response to the trend of barcodes moving from paper to the screen. Built to read from contemporary LCD widescreen devices, the fixed scanner is ideal for mobile phone applications like loyalty programs and ticket validation. Whether it’s an employee scanning a productlabel or a customer scanning a voucher on their mobile phone, barcode scanning is always easy and quick. The form factor of the FM3051 Grouper II makes it easy to integrate into a kiosk or POS and a small footprint allows it to fit seamlessly into any environment. 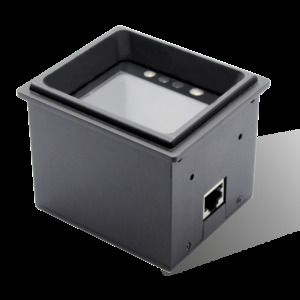 Depending on what suits your business, the device is also available as a flush mount: the FM3056 Grouper II.